February 4th in Wordpress Plugins by Wordpress Jedi . Many small businesses set a strict limit on the number of customers they would like to serve every day. Whether you are a consultant, doctor, lawyer, or any other professional, you should let your customers know when can book an appointment. Booking Calendar for WordPress can help. 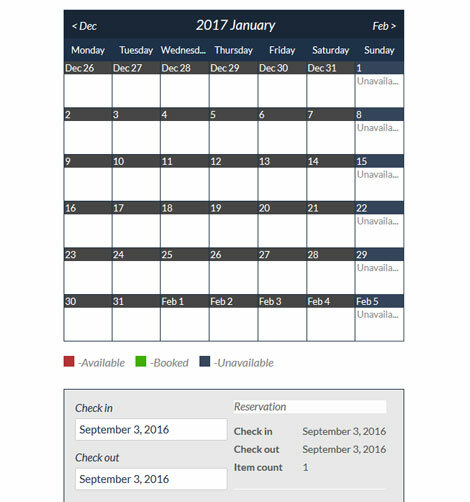 It is a booking system that lets you create an unlimited number of booking calendars and display availability days to your customers. Booking Calendar has a responsive design. It lets you display your calendars in widgets. You can set day price, change week days format, define unavailable days, and customize your booking calendar form. Webmasters can use this plugin to approve booking requests immediately. The plugin takes care of admin and visitor notifications. Booking Calendar has a pro version with even more features. You can change price/percent for extra fields, set user permissions, book events by hour, and do a whole lot more. More info is available here.